With windows sealed tight for the long summer ahead, it’s a good time to think about indoor air quality and what it can mean for the health of you and your family. While most people think only of pollution as an outdoor problem – a cloud lingering near the highway – the truth is that indoor air can be just as polluted (if not more so). Potentially dangerous pollutants like lead, formaldehyde, radon, and chemicals from cleaners and fragrances are all possible threats. It doesn’t take an old home or dangerous mix to bring them out either. New furniture, paint, or cleaning chemicals all carry particles you don’t want to breathe if you can help it. And that’s not to mention common household contaminants like dust mites, mold and pet dander. People with allergies or asthma can be directly affected by poor indoor air quality, but so too can otherwise healthy adults if you don’t take the steps necessary to keep the air inside clean. Here are five tips to do just that and ensure you remain cool and healthy all summer. The most common source of outdoor contamination is your feet (and your pets). So frequent vacuuming with a HEPA filter equipped vacuum cleaner, mopping to remove dust and dirt that your vacuum misses, and prevention can all be helpful. 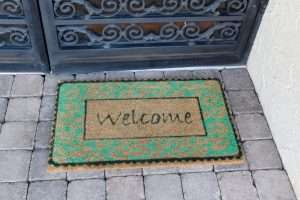 A good mat outside the doors of your home will ensure people bring in as few outside pesticides and pollutants as possible while removing shoes and outdoor clothing at the door will keep what is left from spreading when they come inside. 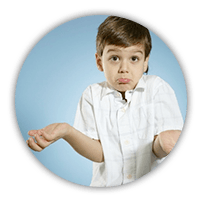 Humidity isn’t a major problem in Southern California, but if it does increase above 50% and you don’t have a system in place to effectively manage it, dust mites and mold can thrive. Ideal indoor humidity levels should be between 30% and 50% to reduce the risk of these contaminants from spreading. Your air conditioning will handle dehumidification on hot days when it is on, but for cooler, rainy days, a dehumidifier installed with your air filter and HVAC system can continue removing moisture from the air without overcooling your house and racking up a large bill. Other possible sources of humidity to watch for include lack of exhaust in the kitchen or bathroom, overwatered plants indoors, leaky plumbing and air conditioners and humidifiers that are not properly drained. There’s a good chance you grew up in a home with a particular scent – a lemony fresh zing that accompanied the early evening after counters had been wiped or floors mopped. We now know, however, that these cleaners and the fragrances that they are treated with are full of chemicals. The gasses, chemicals and particles released by these cleaners can be hidden as well, rarely shown on the labels. Dozens of VOCs have been found in even common air fresheners, some of which may even be considered toxic. To avoid the potential risk of contamination from these chemicals, look for fragrance-free laundry and cleaning products, find cleaning products without fragrances at all, and don’t use any form of aerosol sprays if you can avoid them. Opening windows when cleaning can also reduce the risk of potentially hazardous chemicals lingering in the air, and you can switch to fresh scents from lemons, baking soda, and plants to freshen your home instead of a canned fragrance. There are many things you can do to reduce the risk of pollutants that might be toxic to your family and pets. By checking labels, cleaning carefully, and controlling humidity you can reduce these risks significantly. In addition, consider installation of a HEPA rated air quality control system for your HVAC system. Air filtration attached to your air conditioner and heating system can actively remove these particles from the air and improve air quality in your home year round.